The phenomenon of black people dying in horror movies didn’t really come into its own until the 1980s, when the slasher film hit its stride and trickle-down Reaganomics, yuppie elitism and Izod shirts rendered persons of color utterly disposable. 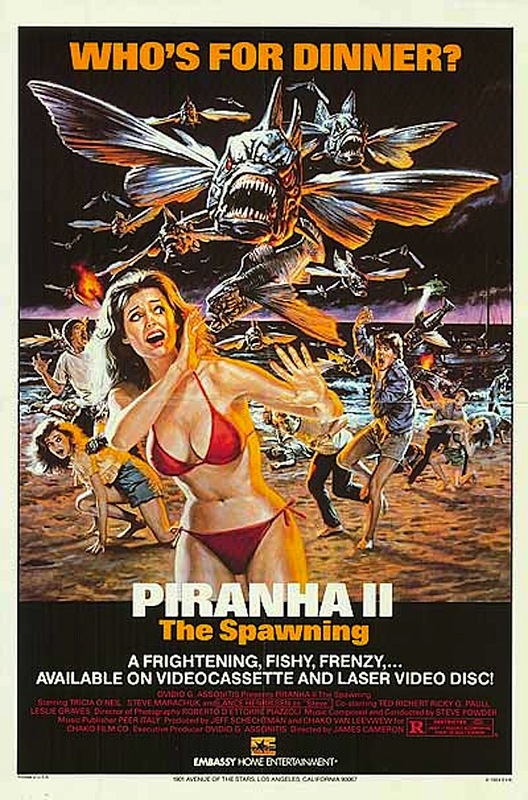 Witness Piranha II, a film that has heretofore derived its relevance from being the feature directorial debut of James Cameron, but in my mind is just as relevant as a snapshot of ’80s black death. Ancile Gloudon, Aston Young and Paul Drummond all play locals who should really know better than to help a heroic leading couple (in this case, Lance Henriksen and Tricia O’Neil) in a monster movie, and while Dorothy Cunningham actually does the right thing by trying to shoo the twosome away, she doesn’t fare any better for her efforts. Imagine Hitchcock’s The Birds, but with fish…and minus Hitchcock. Say, Grandma, do fries go with that shake?